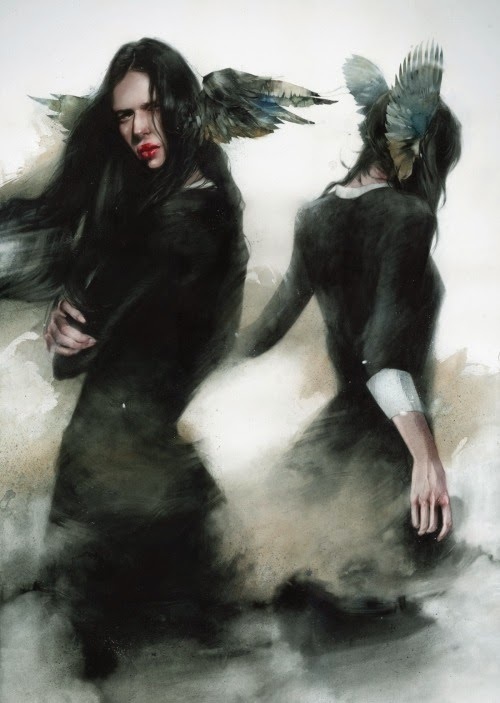 His works are gorgeously dark and haunting and I love him enough to have featured another one of his work before. <previous painting> For "No Meeting Day", I love the model's piercing gaze; her body language; the way the brushstrokes blur edges. What do the wings represent? There's much left in the narrative for us to fill in. View more of Dima Rebus' works via his website. Painting of the Day: "Meanwhile"